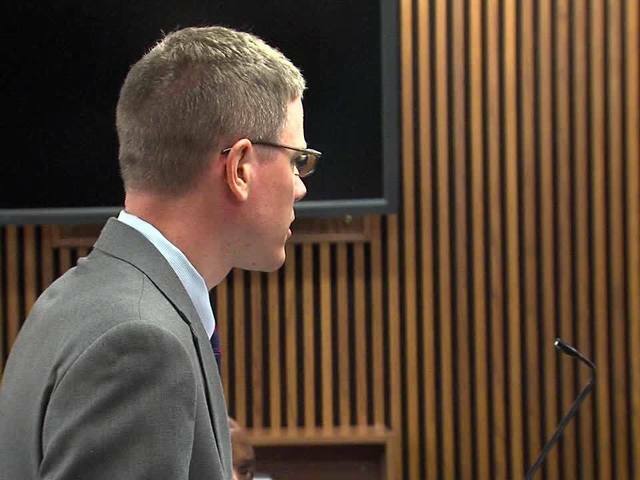 The second person charged in the murder of an off-duty Cleveland fire lieutenant was his wife, court dockets confirm. William Walker was gunned down on Cleveland's east side in 2013. Uloma Curry was charged with aggravated murder in Walker's death, police confirmed Wednesday. According to court documents from the Cleveland Municipal Court, Walker-Curry paid several men to murder her husband. Curry's bond was set at $1 million in court Thursday. The prosecutor's office called her a flight risk because her daughter lives in North Carolina. The prosecuting attorney called the murder a 'hit' orchestrated by Curry. Last month, Chad Padgett, 21, of Cleveland, was charged in the firefighter's death . Police said Padgett was dating Walker's stepdaughter. Officers found the 45-year-old with multiple gunshot wounds to the chest on Nov. 3, 2013.